A few days ago we published a list of the most important local citation sources for American, Canadian, Australian, and British businesses. The most important question that we didn’t answer in enough detail was: “How exactly were these top sources selected?” I will try to explain the methodology used in this post. This practically means that the sources included in our lists are only, or predominantly, platforms that serve one main purpose – storing and distributing information about multiple businesses. These are the types of citation sources Google looks at most frequently when “they” are trying to confirm the accuracy of certain business information that has made its way in their database. 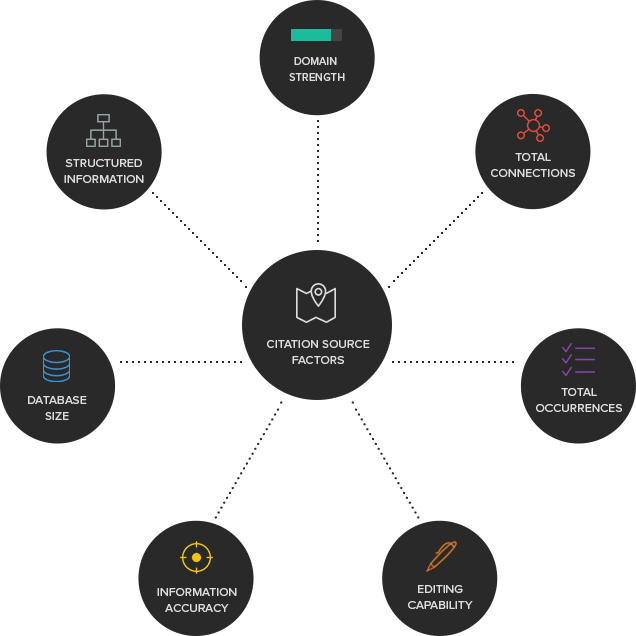 The more connections a citation source has to other citation sources, and the more important these other citation sources are, the higher the importance of that well-connected citation source. The logic behind this factor is the same as the one behind PageRank. If the citation source is known to supply business data directly to Google, this gives it significant boost in our lists’ rankings. This factor could indirectly relate to the size of the business database of the citation source. However, it is more important than the pure size of the database, because the latter could more easily be inflated with inaccurate, outdated, or duplicated business information. Is it at all possible to add, update, or remove a listing on certain citation source? If any of these processes is unavailable, it might be assumed that Google would not have enough trust in the citation source. It could also lead to the question of the accuracy of the information contained in the citation source’s database. Additionally, the more standardized and more difficult to be completed certain process is, the higher the protection from potential abuses (for instance, if phone verification is required). If certain citation source has been noted as featuring a significant number of inaccurate business details or duplicates, its rankings in our lists would be demoted and vice versa. This factor, in the majority of the cases, could only be calculated using tentative data, including factor #3 above, and information about the number of indexed pages on the citation source. Some of the citation sources do share such information, though. Domain Authority (by Moz) and PageRank are the main sub-factors used to determine the relative domain strength of a citation source. Based on the factors and methodology described above, the top positions for each country are occupied by trusted data providers to Google, Bing Yahoo and/or Apple Maps. The next positions are occupied by unconfirmed data providers, or confirmed data providers that are found to be of lesser importance during empirical research. After the data providers, such citation sources are ranked that tend to appear frequently in competitive research and are known to receive business information from a significant number of citation sources. The most prominent example is Bing Places. Yahoo’s Domain Authority is the highest of all the possible citation sources (DA 100/100, PA 90/100) with PageRank 7. It also appears almost always in competitive researches. However, it loses points for accuracy of business information, because Yahoo does not do a good job of syndicating, de-duplicating, and clustering the business information they receive from all of the mentioned sources. Yahoo also loses points for having a complicated process for adding or claiming business listings, as well as for the complete lack of process for removing duplicate listings (see their FAQ for reference). That is why they are ranked 11th in terms of importance in the US. There are still some holes, however, in the obtained data sets, and because of this in some cases where there might be discrepancies in the final rankings. Should the lists be made of 50 citation sources for the US, and 30 citation sources for the other three countries included? Of course this is not necessary. The lists could easily be of 46 or of 53 sources. In any case, the “distance” between the values of the citation sources decreases proportionally to their absolute value as citation sources. For instance, if the absolute value of ExpressUpdate is set to 100, the value of SaleSpider could be around 10 (#38 in the list of citation sources for the US). The value of Thumbtack could be around 8 (#45 in the list of citation sources for the US). The subjectivity factor increases inversely to the decrease of rankings in the list, mostly because of lack of concrete data. We could have easily pulled a list of the most frequently encountered citation sources in our Local Citation Finder frequency report and call it a day. However, a number of important factors wouldn’t have been taken into account with such a method. While the LCF provides invaluable competitive research information, it is after all an automated tool, and it cannot (at least currently) provide qualitative assessment of each citation source. That is why it is important to stress that both quantitative and qualitative factors have been taken into account when working on the lists. We will continually be updating and refining our top sources, because local search is dynamic and changes are inevitable. Hi, I mainly work in the Quebec province so I looked at the list for Canada. Please note that I have been unable to register and login to findhere.ca for many months. Also, FoundLocally.com does not cover the province of Quebec. Thanks for the kind comment, Andy. FoundLocally is unavailable for a number of cities and towns in Canada, which is one of the reasons why it is not placed higher in the Canadian list. For the exact same reason, for instance, AngiesList in the US list is placed relatively low – it features a limited set of category choices.